Breastfeeding : The Last Part | escaped. 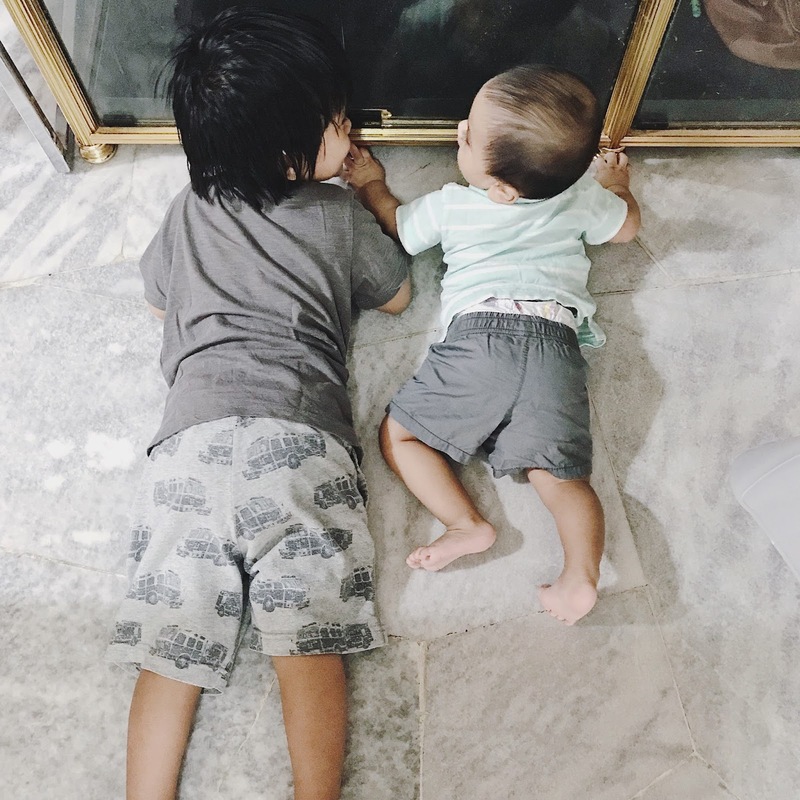 Can't believe that my last post on this, Part 2, was more than a year ago and I forgot to blog about this when Rafiy was born! Basically if you refer to Part 2, it summarized everything I've experienced for Rafiy. Except that for Rayyan, despite the challenges, I managed to continue breastfeeding him until he was one year old. But for Rafiy..the challenges are on WHOLE new level. When Rafiy was born, I was determined that by all means, I'm going to exclusively breastfeeding him. No formula. So I told the nurse, my mom, my family and anyone that is partly taking care of my baby that. Everything was perfectly fine, except for him wailing day and night, especially at nighttime (I blogged about this, almost caused me to develop PPD). But other than that, I was pumping in between his feeding, building up my milk stash to prepare for me returning to work, etc. Even at night, when he got worked up over not being able to sleep faster enough, bf-ing him would always come to the rescue (maybe not 100% of the time). But when we went for his 2 months checkup, we found out that he barely gained weight. A healthy baby would gain almost 1 kg more than his last weight (about 200 grams per week), but for Rafiy, we found out that only managed to gain maybe 500 grams. But the doctor assured us that it was fine, that it was normal for babies to develop differently (we pointed out that Rayyan didn't have the weight problem, he was always gaining weight) so we continued his feedings as per usual. Then at 3 months, his weight was barely increased too - only 400 grams. Of course, I was thinking in my head that maybe my breastmilk isn't sufficient for him. I took milk boosters - lactation cookies, mostly - that cost more than 100 bucks per month, and while I could see my supply was improving, his weight was not. Then at his 4 months checkup, when we found out that his weight increased only 200 grams; I finally told the doctor. "Doctor, maybe my milk is not enough for him. Maybe we should try formula"
I was almost desperate because I want him to be healthy, and if I'm still selfishly thinking my milk would be enough for him (like what I read on breastfeeding advocate websites), at the cost of his health..then what good would it be? And for the first time, she agreed. She gave us 3 different sample of formula to try, and told us to start giving him solids so that his weight would improve. And Alhamdulillah, I can see that Rafiy has been chubbier and healthier now than a few months before. Until now, we still haven't really found out if his not gaining weight was because of my supply or not, but by now, he's doing better than before - and it is all that matters to me. There are people who are blessed with enormous breastmilk supply rezeki for their babies, and it is so rewarding to watch - but unfortunately, there are people like me too, who want so bad to breastfeed but couldn't because we don't have enough. And this post is to share with you our challenges and it is not up to us to simply choose to stop feeding our babies. It is just not our rezeki. If it was up to me, breastmilk is the only way for my babies. Despite the challenges, nothing beats that look my babies gave me during those midnight sessions - they're miracles. But God has different plans for us. Sigh. Breastfeeding, love or hate it, it was such a miracle time for me. I'll never forget it.